Jewish Groups Praise Trump's Pro-Israel Spending Bill - Breaking Israel News | Latest News. Biblical Perspective. Major American Jewish organizations are pleased by the provisions in the newly enacted federal spending bill concerning Israel, national defense and domestic-safety issues. U.S. President Donald Trump criticized, but in the end signed, the $1.3 trillion omnibus spending measure on March 23. The most popular aspect of the bill among Jewish groups was the Taylor Force Act, which places restrictions on some U.S. aid to the Palestinians unless the Palestinian Authority halts its policy of providing salaries to imprisoned terrorists and the families of dead terrorists. The P.A. disbursed more than $344 million in such payments last year. The American Victims of Palestinian Terrorism group expressed concern that the final version of the Taylor Force Act included loopholes allowing some portions of the annual U.S. aid package to the Palestinians to continue, regardless of the P.A.’s terrorist payments policy. Dovish groups that opposed the Taylor Force Act, such as Americans for Peace Now and J Street, refrained from publicly criticizing the adoption of the final version. J Street had originally opposed the bill on the grounds that reducing U.S. aid to the Palestinians might “foment further extremism,” but later praised the watered-down version of the legislation. Sarah Stern, president of the pro-Israel advocacy group EMET (Endowment for Middle East Truth), said she was pleased by the inclusion in the bill of $3.8 billion in security-related funding, of which $705 million is for missile-defense programs. Those include the “Iron Dome” and “David’s Sling” systems, which help Israel defend itself against incoming rocket attacks. Mort Klein, president of the Zionist Organization of America, told JNS that overall, he was pleased with the bill, despite the weakening of the Taylor Force Act. Several domestic-programming allocations sought by the Union of Orthodox Jewish Congregations of America were also included in the bill. The bill provides $50 million for the Nonprofit Security Grant Program, which finances security measures adopted by synagogues, parochial schools and other nonprofit institutions. The creation of the NSGP, back in 2005, was spearheaded by the O.U., along with the Jewish Federations of North America, Agudath Israel of America and the U.S. Conference of Catholic Bishops, following the Sept. 11, 2001 terrorist attacks. Originally given $25 million annually by the George W. Bush administration, the funding level for the NSGP dipped to between $10 million and $19 million during President Barack Obama’s first seven years in office. It reached $20 million in 2016, then rose to $25 million last year. But “with yet another spike in threats and attacks against Jewish targets during the past year,” the O.U. 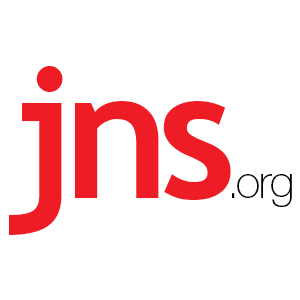 sought a doubling of the funding, its Advocacy Center director Nathan Diament told JNS. In addition to the $50 million grant for this year, the omnibus spending bill contains $10 million for security grants for nonprofit institutions that otherwise are ineligible for NSGP grants because they are located outside major metropolitan areas, the O.U. noted. It took a particular interest in the STOP School Violence Act, introduced in response to the Feb. 14 mass school shooting in Parkland, Fla. That measure, which was included in the omnibus spending bill, allocates $175 million over 10 years for improving school safety. The O.U. lobbied successfully to ensure that private schools will be eligible to receive those funds, too. William Daroff, director of the Washington office of the Jewish Federations of North America, noted with satisfaction that the omnibus spending measure increased funding for the care of Holocaust survivors.